Trade Reading Order » Uncle Gorby’s Corner Of Free Stuff: Wonder Woman TV Series! Hey there DCU fans! Hard-pressed for cash? Wiped clean after that last pull? Well, fret not, because Gorblax is here with a Daily Dose of DC… and always 100% legal! Redesign of Wonder Woman got you down? Nostalgic for Diana Prince’s campy, femsploitative heyday? 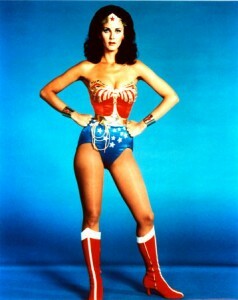 Well, thanks to the WB, you can now watch every episode of the 1970s Wonder Woman television series absolutely free. Fifty-six hour length format episodes of Lynda Carter in those satin tights, fighting for her rights, and the Old Red White and Blue completely gratis! If you’re a fan of DC screen adaptations and have never given this a try, the 70 minute pilot at least is worth a watch just for its historic significance. Wonder Woman not your thing? Well, fret not, because I’ll be back with a brand new link tomorrow! See you then! Alright! Your first blog post is up – it should appear under your profile in your blog post listing, and you should be emailed any comment replies as well. Let me know if everything is working or if you’d like to change anything, Alex. This is an exciting day indeed. Thanks for the support! Wonder woman is one of my favorite heroes. The 1970’s series was good tv but others saw different.